no mortal Man hath ever unveiled me. The fruit I bore was the Sun. My sisters, avoid my suffering… share in my fulfillment. The choice is ours to believe this existence is ordered or chaotic. We can believe in union or disunion. There is no coercion. But let your choice be based on knowing first the veracity of Divine order. Then at least you will not find yourself lost saying "I did not know." Divine femininity must be nurtured and protected, as it is a timeless assurance of the manifestation of God's love and harmony on earth. A woman who turns from her feminine qualities or indulges in lustful pursuits is a woman who does not know what she is. Her truest freedom lies in fulfilling her natural purpose. A binding misery of gross mortality lies in the wake of that purpose being ignored. Her role is pivotal as the female is the gate of earthly bliss or earthly suffering, depending upon her devotion to Truth over "evil." Disunion consciousness and disorder are the evils of falsehood. A woman who understands she is one with creation and that this creation is Divinely ordered is a woman who sets herself to give birth to Divine order. Such a woman and the fruit she brings forth bear gifts for the world’s upliftment. The veiled ones prepare themselves to give birth to goodness; to give birth to that which will strengthen righteousness in the world... in the manner of Heru, Christ, Krishna and so on. Let the Goddesses - the sacred feminine - be veiled and not the entire mystery. It is a truth which should be fundamental in our spiritual arsenal, one which is open to us all and calling out from our collective heritage. One sun nourishes our solar system and one spermatozoa breeches the egg. So too there is one who is meant to fertilize your field. Man and woman are one entity, split for sake of encountering the realm of the senses. We have come to play and to yield the sweet fruit of blissful experience. Just as an individual has a mind and a body in order to experience, so too does this multitudinous male-female entity. Straddling duality and remaining one, the male so-called head and the female so-called body are one entity. When you find yourself battling and arguing all the time with your male or generally unfulfilled you may have handed your authority over erroneously or better said-- you've lost your head. Our task is not to hand over our minds to another, but to sever our own heads--to cut off the logical mind with its egoic strivings of lust, greed and general selfishness. This knowledge has streamed through various religions, in varying guises and goes much deeper than what is being touched on here. Exalted mystic union is therefore not the monopoly of any one religion. It was taught in the mystery schools of Kemet (ancient Egypt), told in the story of Auset and Ausar (Isis and Osiris). It is plainly told in the Bible and is also evident in the love play of Radha Krishna, for example. Christ, Krishna and Ausar are ideals of male self-mastery and wisdom, vested with love and self-sacrifice. These are the molds for the type of man we should gift with our devotion. Mary Magdalene, Mother Mary, Radha, Auset - these women epitomize the female disciple role in marriage and in waiting. These are the molds for the type of females we should be… if we so choose to take part in the manifestation of order over chaos. Union is peace. It is the great goal of enlightenment, nirvana, nehast. In ancient Kemet it was symbolized in various forms, such as the ankh, the hetep offering table and the queenship crown of cow's horns signifying sacred femininity. 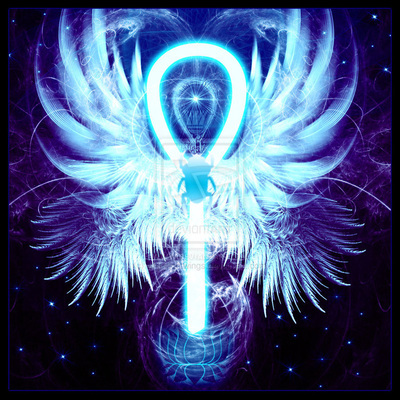 The ankh shows the male principle joined with the female principle. 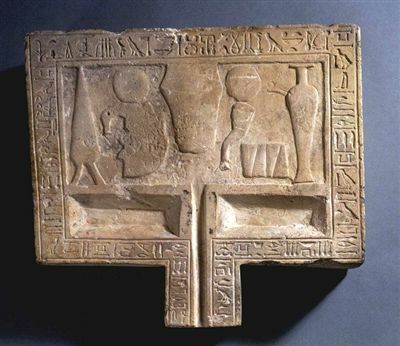 The hetep offering table shows a duck (female gracefulness) and an ox’s leg (male power). 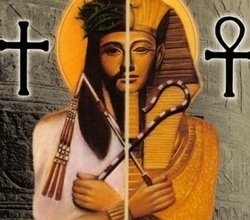 Both are presented to the Divine as one offering, each next to a water vessel. Hetep means peace. 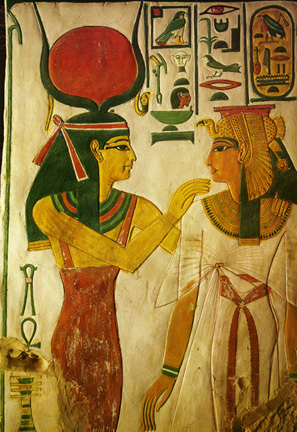 The crown denoting queenship and high priestess status in Kemet consisted of a solar orb resting between cow’s horns. The solar orb of course representing the light and wisdom of male Divinity (Ra) vested in her High Priest husband/son while the cow’s horns represented the queen’s sacred fertility and sensuality. Time and again we see the union of male and female exalted. 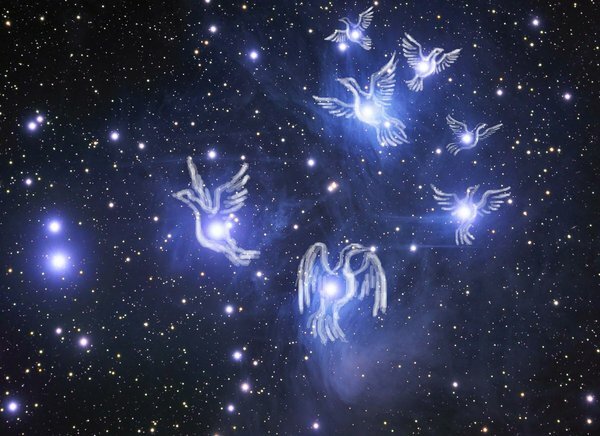 Neither is complete in itself and needs its complimentary opposite to achieve true peace and purpose according to this directive of sacred birth. And yet, other directives assume yet another form, as expressed in the original manifestation as Net (Neith). Net or Ntet refers to "that which is." The truth, before any differentiation. Our task, as females, is to build our devotion and act as pillars of love, kindness and peace. It begins with faith in Divine order. If your task is to join with a male, then it requires faith in the very existence of your mate and certainty that you will find each other. If your task is to be Truth incarnate and to manifest Truth, then devotion to Truth is required in all things and at all times. To strengthen this devotion we study the stories, sing, chant and participate in the rituals of whatever spiritual tradition we follow. The partner we attract is qualitatively contingent on the measure of our devotion to Truth. If you are attracting the wrong partner, one who is not meant for you, then your devotion has likely waned. This is where the mystery comes in - knowing how to wait and how to recognize the Beloved. The waiting period is not empty, it is instead filed with constant consumption of what is good and morally beneficial to self, family, society and humanity as a whole. It is filled with constant study of high culture - literature, art, poetry and so on. The roles of mother, healer and priestess are examined intently and anticipated with pride. She familiarizes herself with the symbolic language of dream and remains open to guidance. The woman-in-waiting is surrendered to "God" (NTR) and devoted to m﻿anifesting Divine beauty and wisdom. 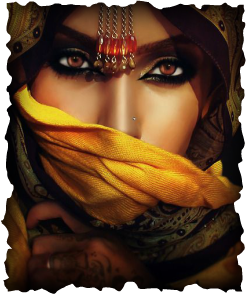 She is beauty and Truth personified, as are any males or females she welcomes into her circle. The ultimate achievement--exalted mystic union--is therefore the most beautiful Truth. maintain focus and to shield oneself from what is false. The veil harnesses our power and reserves it for its proper use… in loving service of Divine Truth. We have the power of allurement, attracting men with our beauty and grace. But the devoted female disciple wants only to attract that one who is meant for her and who she is meant for, so she veils willingly and stands dignified. Union with a man who is not her Divine complement aptly leads to unhappiness, struggle and disharmony for such a woman, for her family and for society at large. If one is seeking exalted mystic union, and the manifestation of Truth one may don a veil or head-covering in an attempt to maintain sacred purity. These are "the set-apart ones." ﻿﻿While patriarchal religions have set askew the original meaning of female virginity/purity, it is nonetheless based on truth. It is important to remember here that you are not set apart and protected because you are inept and incapable of achievement in society. You are set apart and kept safe because you are so greatly valued. You are a crucial linchpin. Our value is not bound within the false world of samsara. Our Truth shatters any such constructs. The wise mother is always teaching. She may defer, not as one who is ignorant but as one who welcomes the growth of the one she teaches. "And which choice is the correct choice?" she might ask. She knows the answers because she listens deeply. You know the answers because mother gives you ample time and guidance to discern them. When one grows in wisdom, in mother's care, that one becomes a natural leader for others. Others will naturally defer to a man or woman of Truth, as an easy and automatic act. Doing so effectively requires that we perceive the depth of his or her devotion to righteousness and love. Imagine the strain and frustration you would feel in the presence of a man who demands respect from you but hasn't demonstrated his spiritual humility or his attunement highest Truth. You would need to watch your every gesture, every word, your tone and so on with an exhausting consistency to avoid inspiring anger in him. Such a one is morally underdeveloped. Conversely, in the company of divine male and female compliments, respect is latent. It is not something tiresome or forced. The presence of a child of Truth is radiant just as the sun. That warmth is unmistakable. With all of this being said, it is best to understand that veiling the head or body is firstly a state of mind. As one lives Truth, one removes oneself from situations/people/places of falsehood. In a divine environment, the sacred purpose of the feminine can flower without adulteration. We wear white and walk the path, internalizing purity and divinity as a way of life.